And I fear with some one else she is in love. This aggravating beauty, Lula Wall. At first sight my heart she did enthrall. With this aggravating beauty, Lula Wall. And she allowed me then to see her home. 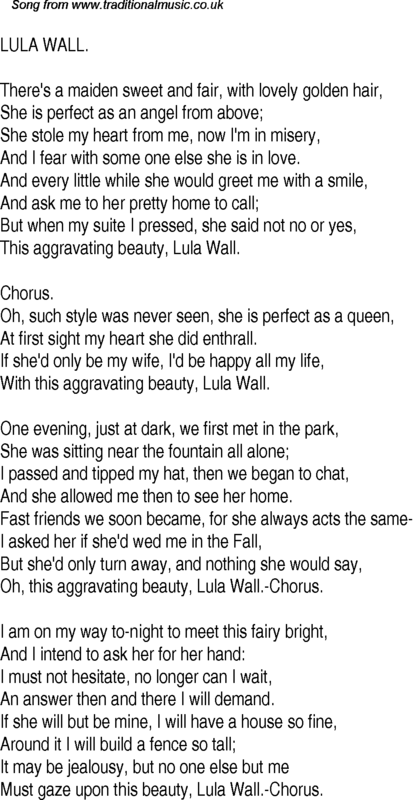 Oh, this aggravating beauty, Lula Wall.-Chorus. An answer then and there I will demand. Must gaze upon this beauty, Lula Wall.-Chorus.